24:1 Then on the first day of the week at dawn they arrived at the tomb, bringing the essential oils they had prepared. 24:2 There they found the stone had been rolled away from the tomb. 24:3 Yet when they went in, they did not find the body of Lord Jesus. 24:4 As they were confused by this, they saw two men suddenly standing nearby. Their clothing dazzled brilliantly. 24:5 Now as the women were amazed, and bowed their heads to the ground, the men said to them, “Why do you seek the living among the dead? 24:6 He is not here. Rather, he has risen from the body. Remember how he explained this to you while he was still in Galilee. 24:8 Then they recalled his statement. 24:9 Then they returned from the tomb and reported what occurred to the eleven and all the others. 24:10 Thus it was Mary Magdalene, Joanna and Mary, the mother of James. Also there were other women with them that told these things to the messengers. 24:11 But their statements seemed crazy and they didn’t believe them. 24:12 But Peter got up and ran to the tomb. He leaned in and looked into the tomb and saw only the linen wraps. Then he departed to his house amazed at what happened. 24:13 Then suddenly, two of them left on that day to a village named Emmaus, which was about seven miles from Jerusalem. 24:14 They were talking with each other about all the things that had happened. 24:15 As they were talking and questioning each other, Jesus came up and began walking with them. 24:16 But their eyes couldn’t recognize him. 24:17 Then he asked them, “What have you been discussing with each other as you walk?" They stopped and became sad. 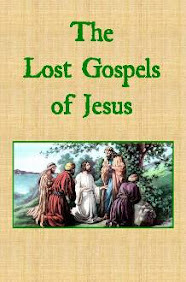 24:19 He asked, “What things?” They replied, “The things about Jesus the Nazarene, who was a prophet – powerful in deed and word in the presence of God and all the people. 24:20 And how the chief priests and our elders condemned him to the sentence of death – and crucified him. 24:21 But we had hoped he was going to liberate Israel. And yet this is the third day after all these things happened. 24:23 yet didn’t find his body. They returned and told us they had seen a vision of angels who said that he was alive. 24:25 Then he told them, “You foolish men who are slow to believe everything the prophets have taught. 24:26 Wasn’t it necessary for the Anointed of God [Messiah, Christ] to suffer these things before returning to His Majesty?" 24:27 Then, beginning with Moses and with all the Prophets, he explained to them the things relating to this within the Scriptures. 24:28 Then as they approached the village there were going to, he indicated that he was continuing on. 24:29 But they urged him, “Stay with us, because evening is approaching and the day is now almost over.” So he went in and stayed with them. 24:30 After he sat down at the table with them, he picked up the bread and offered it to God. He broke it and gave it to them. 24:31 Then their vision was purified and they recognized him. Then he vanished from their sight. 24:32 They asked each other, “Were our hearts not burning within while he spoke to us on the road and as he explained the Scripture to us?" 24:35 Then they recounted their experience on the road and how they had finally recognized him after the breaking of the bread. 24:37 Yet they were startled and frightened. They thought they were seeing a ghost. 24:38 Then he asked them, “Why are you troubled and why have doubts been raised in your hearts? 24:40 After saying this he showed them his hands and feet. 24:42 They gave him a piece of broiled fish. 24:43 He took it and ate it in front of them. 24:44 Then he told them, “These are my teachings, which I told you while I was still with you – that all the things written about me in the Scripture of Moses and the Prophets and the Psalms must be accomplished." 24:45 Then he opened their minds to understand the Scriptures. 24:46 And he told them, “Thus it is written that the Anointed of God [Messiah, Christ] will suffer and rise up from the dead on the third day. 24:47 And that the change of heart leading to the release from sin would be preached on his behalf to all peoples, starting from Jerusalem. 24:47 You are the witnesses of these things. 24:49 Then he led them out as far as Bethany and he lifted up his hands and blessed them. 24:50 While he was blessing them, he departed from them and was carried up into the spiritual realm. 24:51 Then after they worshiped him, they returned to Jerusalem with great joy. 24:52 Then they all remained at the Temple, glorifying God.